Earlier in the week it looked like we were going to have a couple of days of sunny weather so my wife and I decided to drive to Grantsburg to visit Crex meadows. We wanted to make the visit in the spring but the weather just didn’t cooperate. We arrived late in the afternoon and made a quick stop at the visitors center to see if anything of importance was happening in the Meadows. The mention of five different groups of Cygnets caught my attention. The education officer pointed out where in the Meadows they were located. We took our usual route through the Meadows checking all of the locations where the swans with cygnets might be. We saw a couple of different batches but they were quite a ways from the road. As we wound our way back through the flowages we encountered them again and this time they were a little closer to the road. 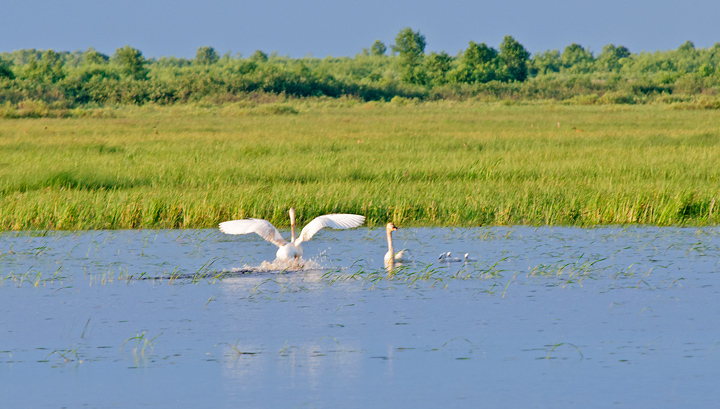 We returned to Grantsburg for dinner and then headed back out to watch the sunset and look for more swans. 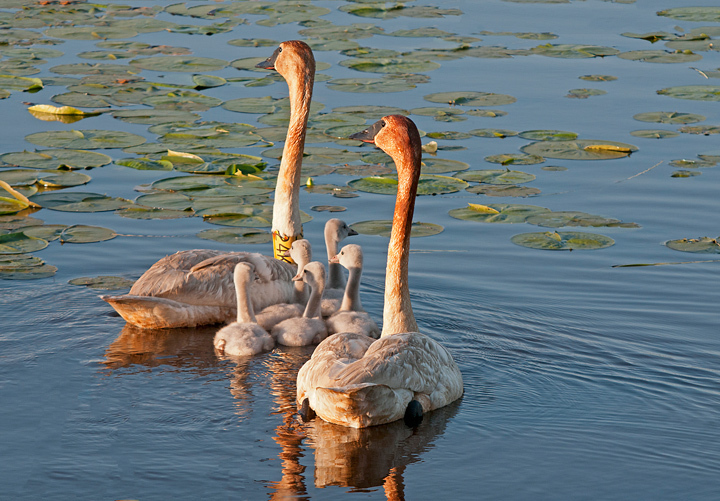 We hadn’t gone too far before we noticed a pair of swans with cygnets right next to the road. 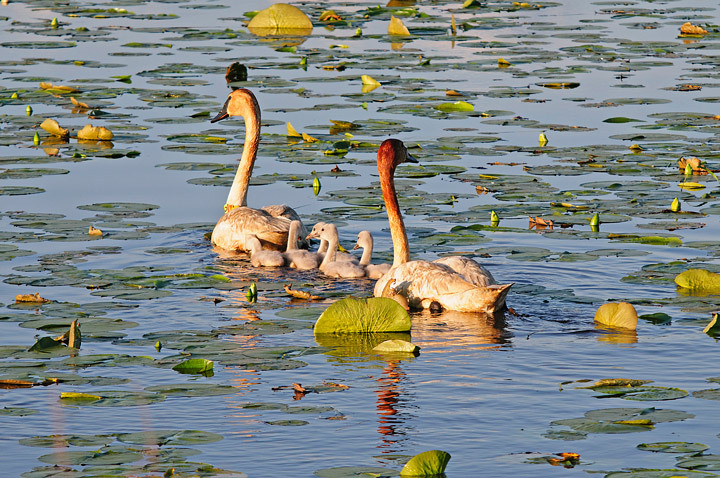 They had six cygnets, which was the most we saw during the trip. They were actually so close I couldn’t photograph them with my birding lens on. 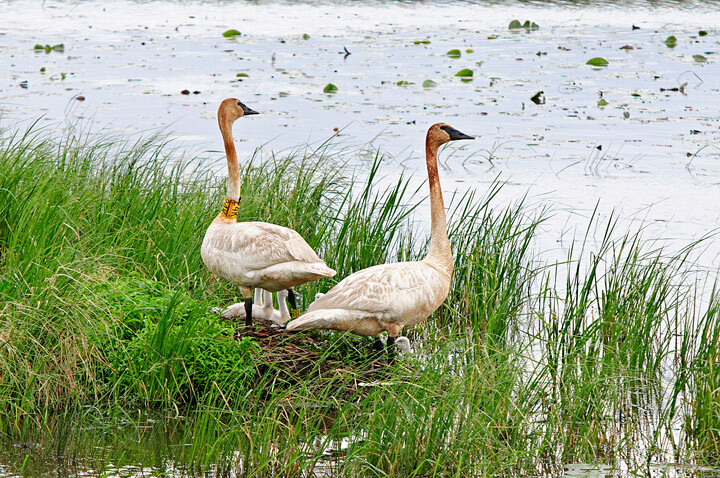 They moved out into the flowage with the evening sunset reflecting golden colors off of them. We then encountered another batch of them. They were quite a ways from the road but when we stopped one of the adults took off honking as it went. I started photographing the remaining swans with storm clouds in the background. As I was photographing them I started to hear the honking get louder and louder. I turned around in time to see that the adult had circled around and was heading back to the family. It was a great couple of days. 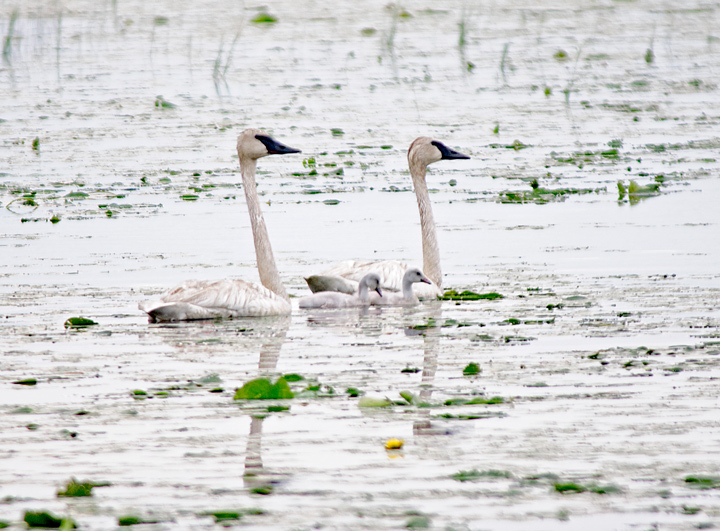 We saw five different sets of Trumpeter Swans with cygnets. More photos from Crex Meadows can be found on my website. My wife and I made a visit to Hoffman Hills Recreation Area today to see what is blooming and to check out the wildlife. There are a lot of flowers blooming in the Prairie area. 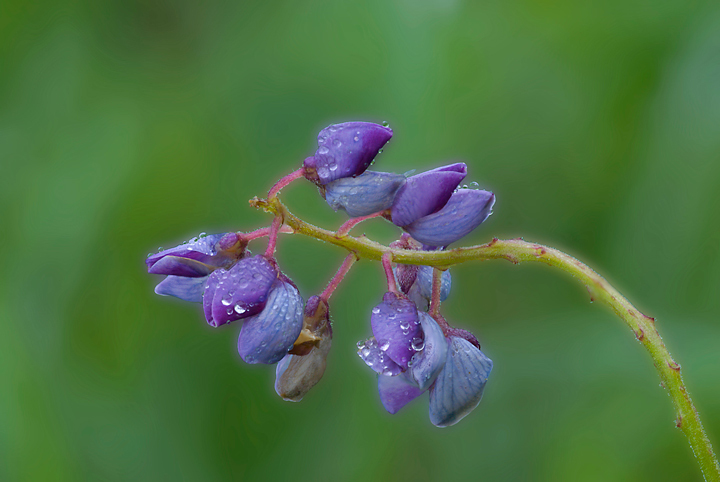 Wild Lupine is just finishing up blooming. 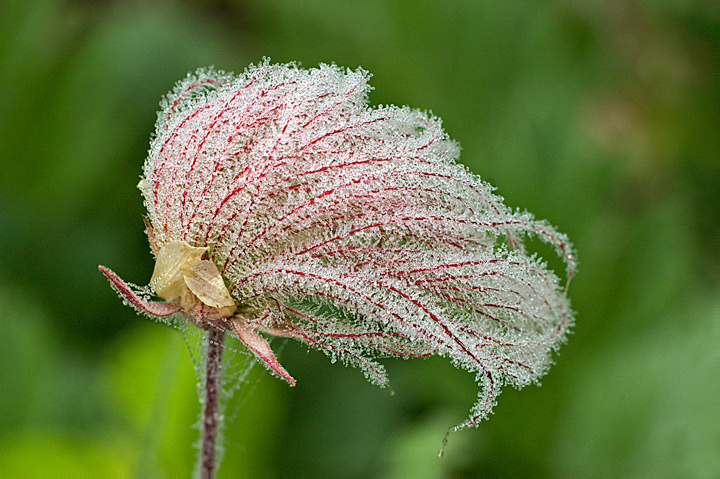 Prairie Smoke is in full bloom. 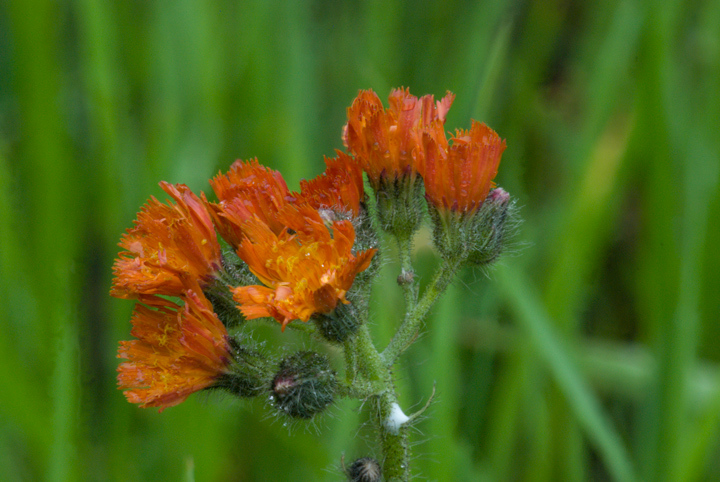 Orange Hawkweed is blooming around the ponds. 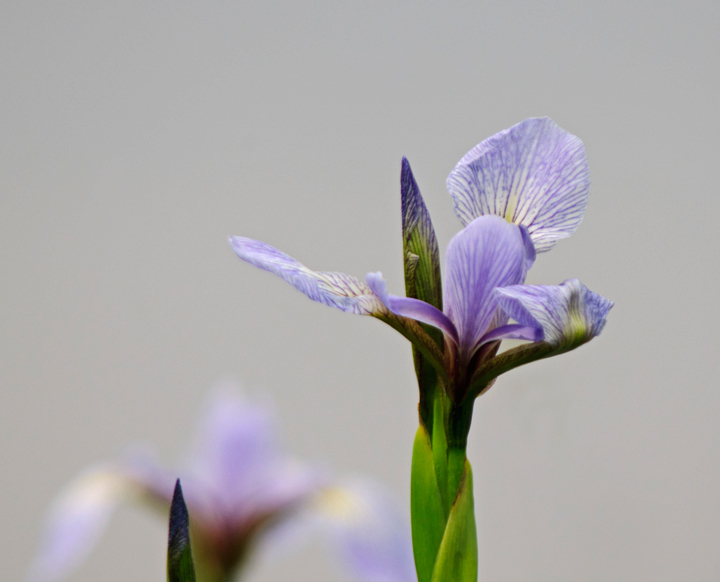 Blue flag Iris is blooming in the wet areas. 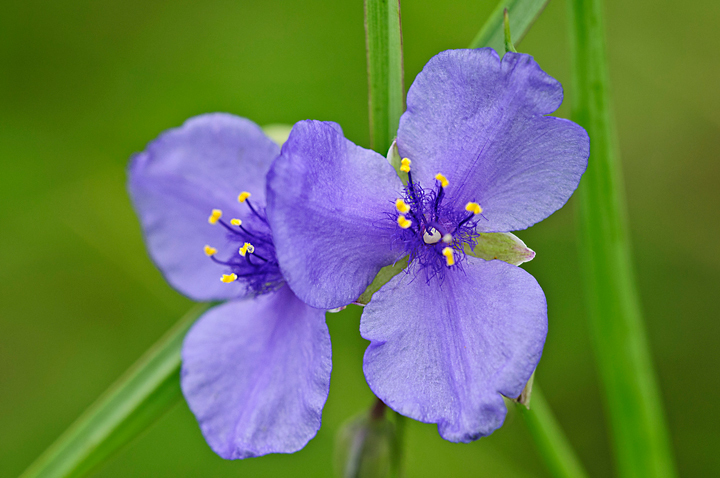 Spiderwort are just starting to bloom. Wildlife watching has been very disappointing this year. Normally we would be watching Canada Geese with their young but this year, for the first time, in many years they did not nest. Two adults build a nest but after a week they were gone. There have been no Muskrats or Beaver sightings this year. There were only a few birds around. I live on a farm with a large yard and a prairie buffer between the yard and the woods. I don’t mow the entire prairie but do mow trails through the prairie so I can easily walk through the area to photograph flowers and insects. 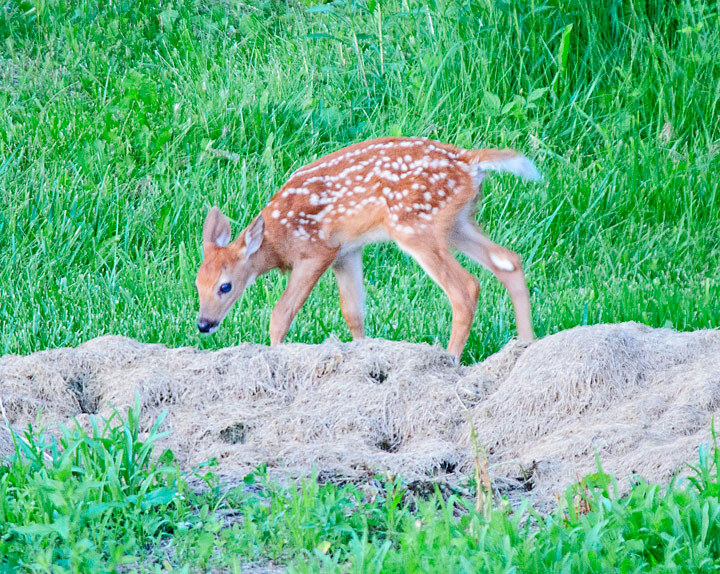 I frequently see fawns out in my prairie late in the spring. A week ago my wife noticed a doe standing out in the prairie and thought it looked a little strange. I went upstairs so I could get a better look at it. I thought something was up but it wasn’t until the doe moved that I could see it was feeding a fawn. We watched as it put the fawn in the high grass and left it. Yesterday we returned from a weekend trip late in the day. I happened to look out the window to check on the garden and noticed a fawn out by the garden. It was standing in some tall grass. 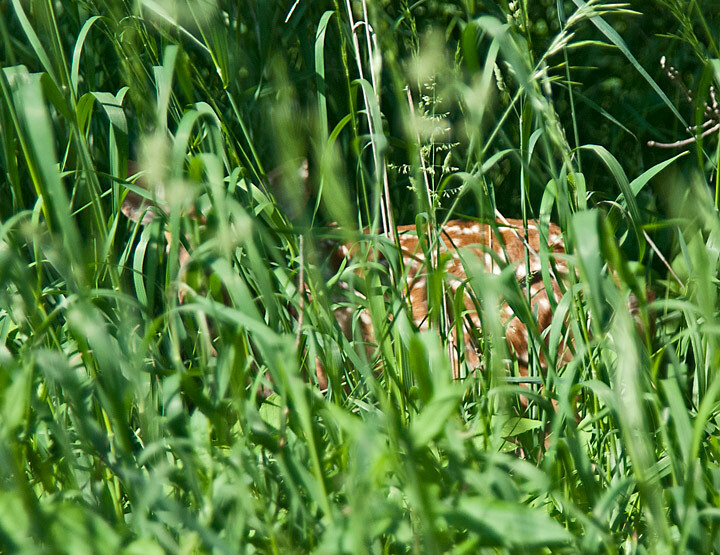 Normally when a doe leaves a fawn the fawn remains curled up on the ground. This fawn was standing up and scratching itself. 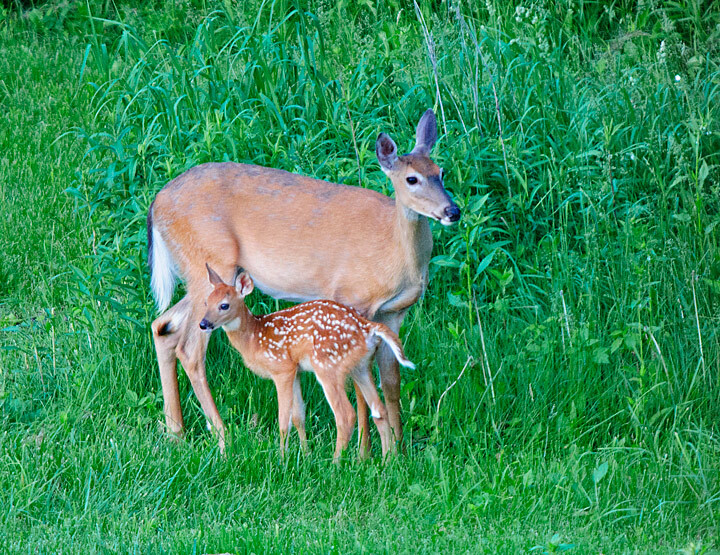 Later in the evening I happened to look out at the garden again and noticed the doe and fawn out by the garden. The doe was feeding the fawn. 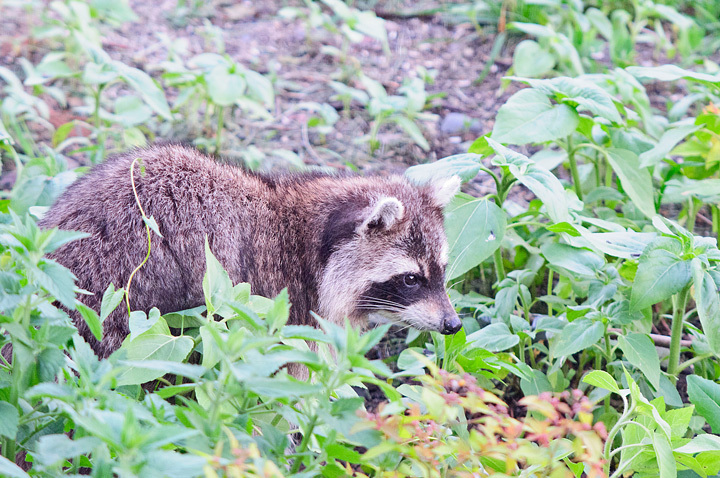 We watched for a while and then my wife noticed a large raccoon walking toward the doe and fawn. Soon the doe noticed the raccoon and chased it away. We continued to watch as the doe fed the fawn before leading it back into the woods. Just as the doe and faun were leaving we noticed the raccoon heading toward the house. 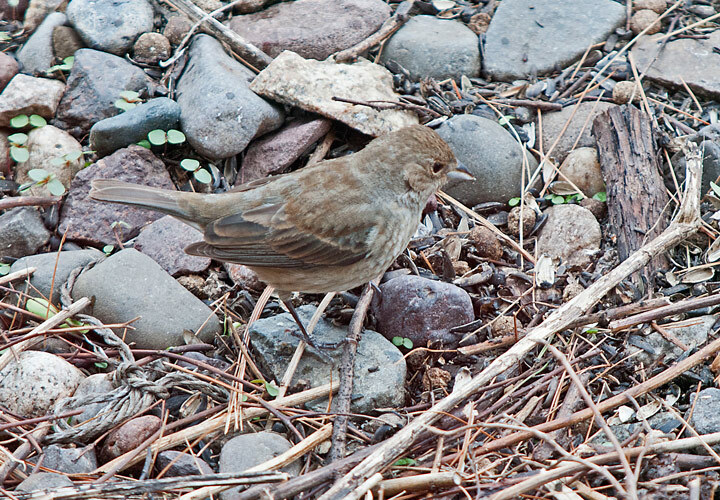 It turned up at the bird feeder and we watched it clean up bird seeds for about a half an hour. 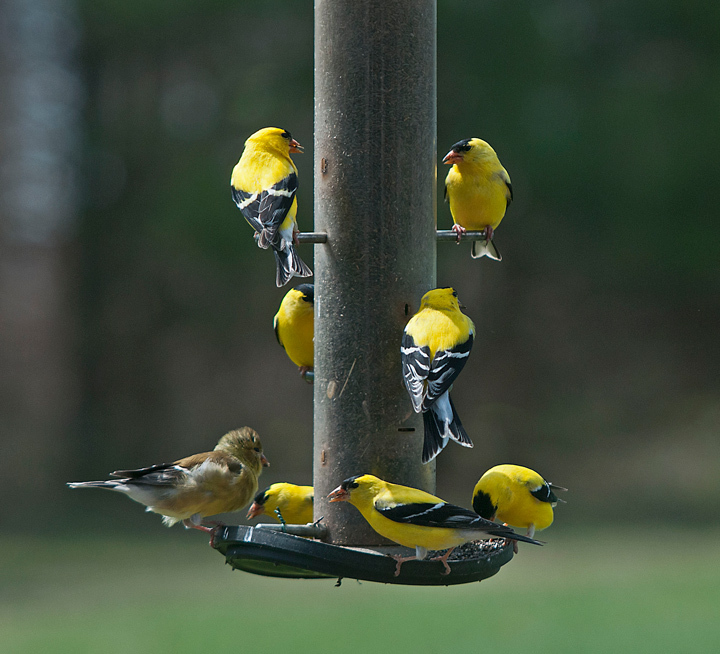 About the same time that the Orioles arrived I had a large number of American Goldfinches turn up at my feeders. 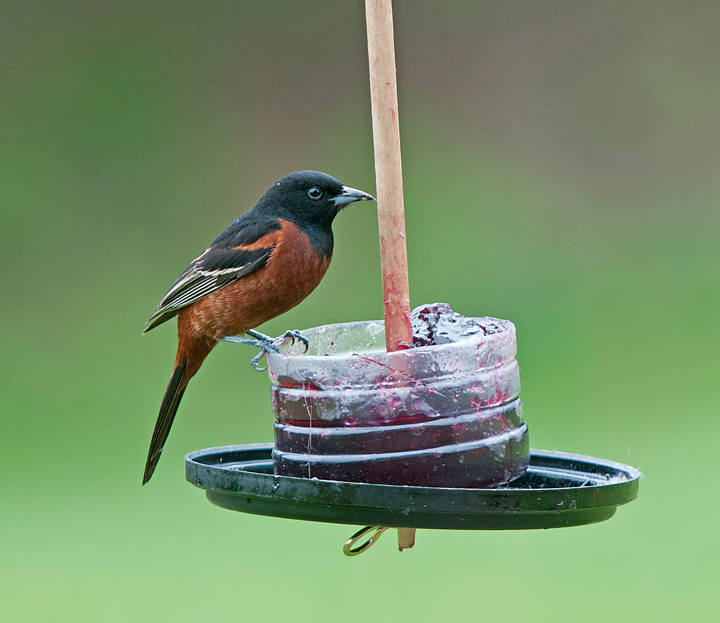 Normally I have a few of them around the feeders but for about a week and a half all of the feeders were full of them. All of a sudden they were gone and thing were back to normal. 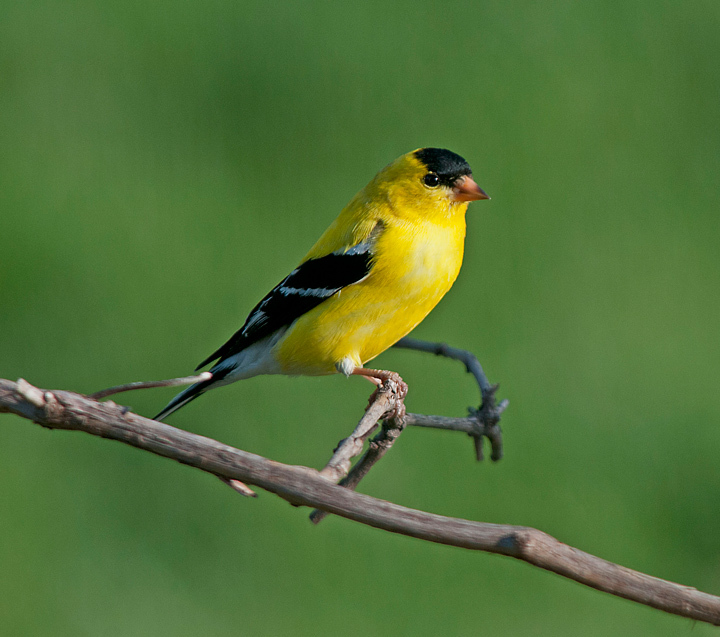 About the same time that the Orioles arrive I had a large number of American Goldfinches turn up at my feeders. Normally I have a few of them around the feeders but for about a week and a half all of the feeders were full of them. All of a sudden they were gone and thing were back to normal. 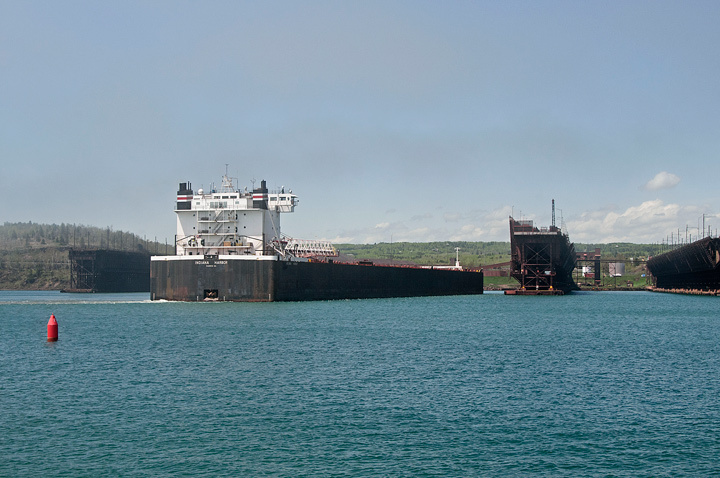 The last couple of times we have been in Duluth we have seen the Federal Kumano anchored outside the harbor. I watched it on Marine Traffic for over a month as it sat in the harbor. 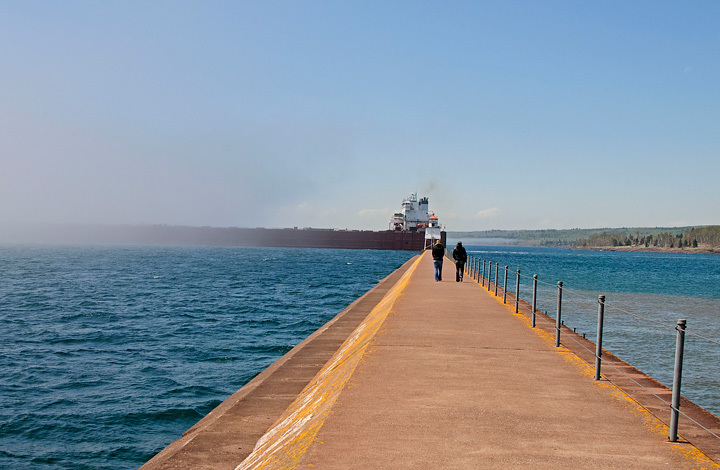 Last week when we went to Duluth I had planned on asking about it at the Lake Superior Maritime Visitors Center. 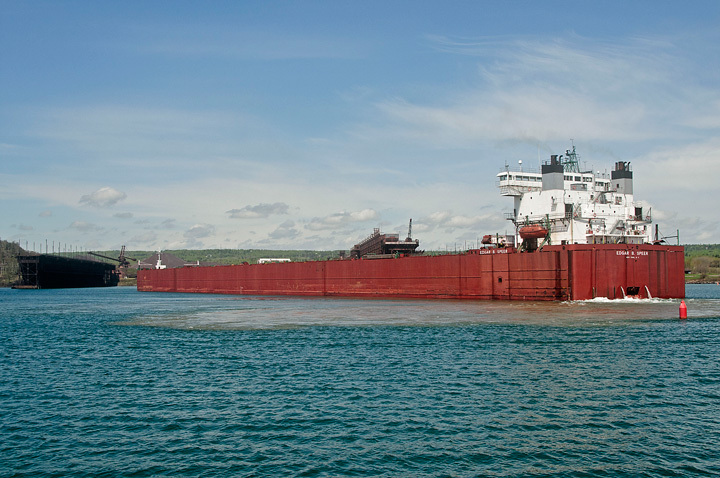 On the way up I happened to check the Duluth Shipping News and discovered that the ships papers were not in order so it was not allowed to enter the harbor until everything was straightened out. 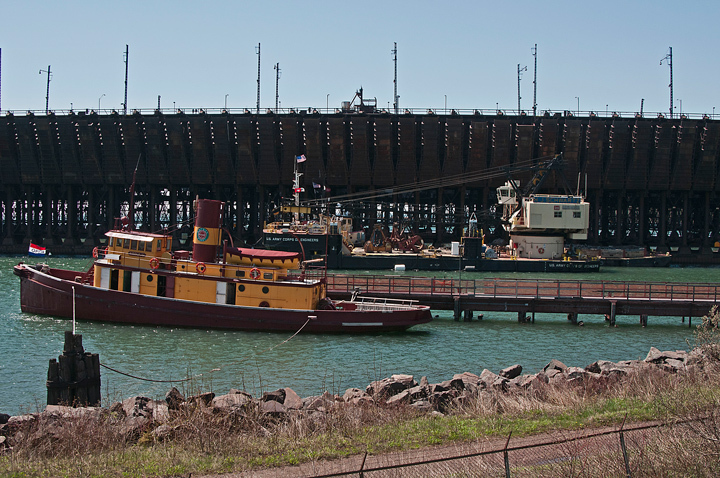 It entered the harbor before we arrived in Duluth. 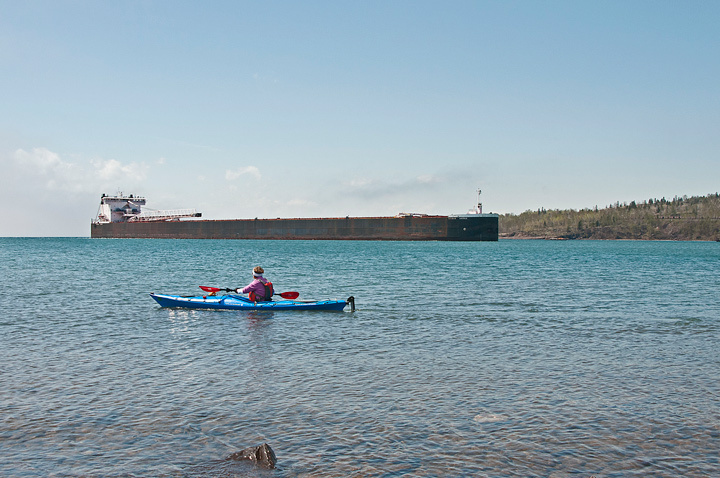 The next morning I noticed that was leaving the docks so I rushed down to Canal Park to watch it leave. 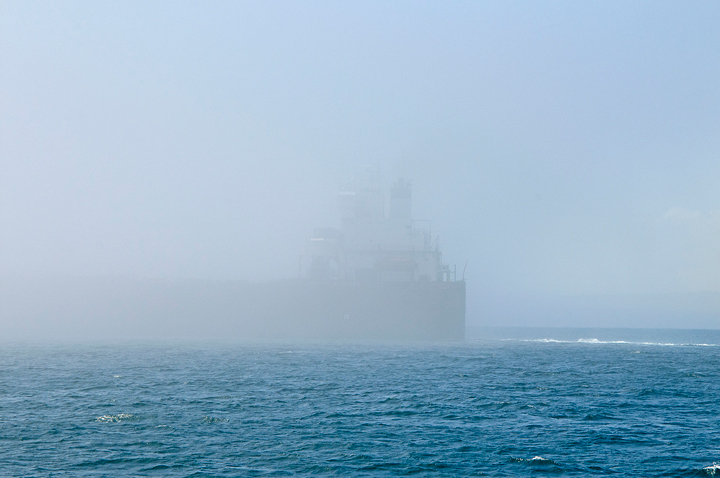 It was very foggy and I waited for quite a while before checking on the Marine Traffic website only to find that it was anchored out in the harbor. 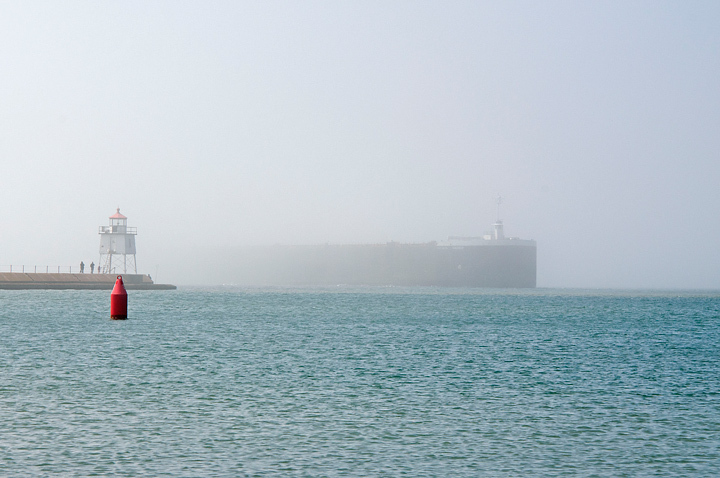 Apparently it was too foggy for it to leave the harbor. When we arrived at Twin Falls parking was limited because the small park located at the falls was filled with downed trees from the heavy wet snows in early May. We walked around trees on the trail to the upper falls. 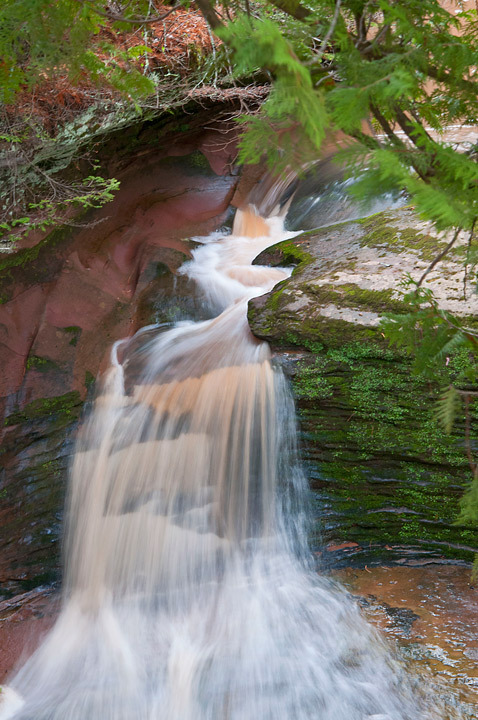 There was enough water flowing over the falls to provide some nice shots. 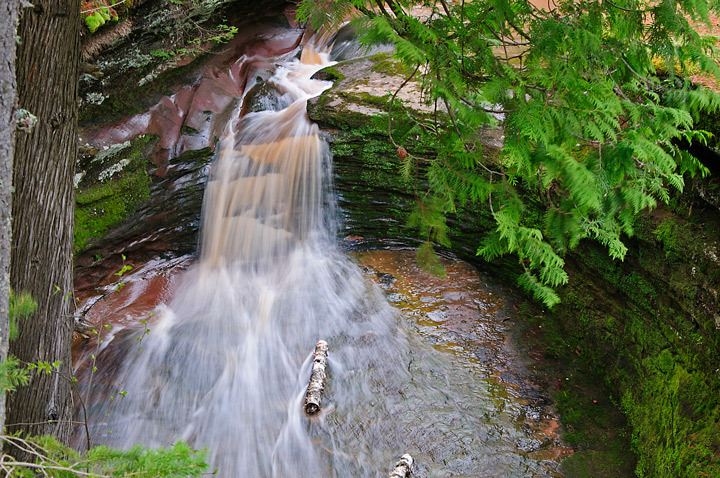 This was the first time I’ve gotten any decent pictures at the upper falls. I mentioned in an earlier post that my wife purchased some Muck Boots before our trip to Twin Falls. It was a good thing she did because we had to ford the creek several times on the way into Twin Falls. The water was higher that one would expect at this time of year and the clarity was reduced because of recent rains. 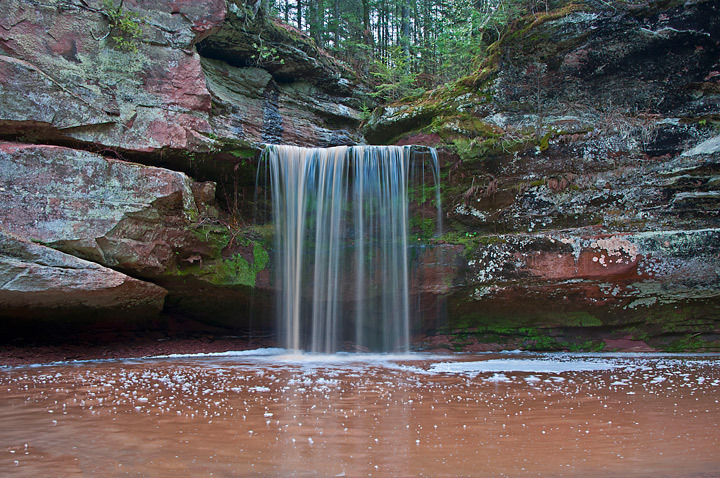 More photos of Twin Falls can be found on my website. 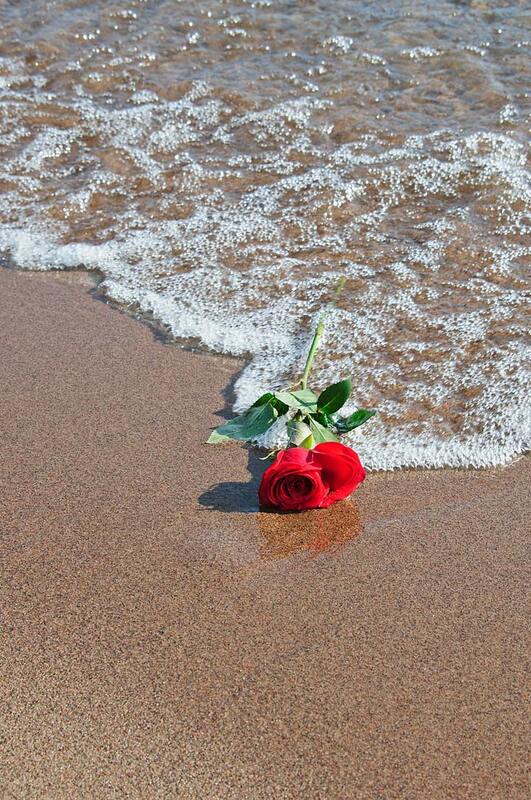 My wife and I were walking along the Park Point Beach the day after Mothers Day when we started to encounter something read on the beach. 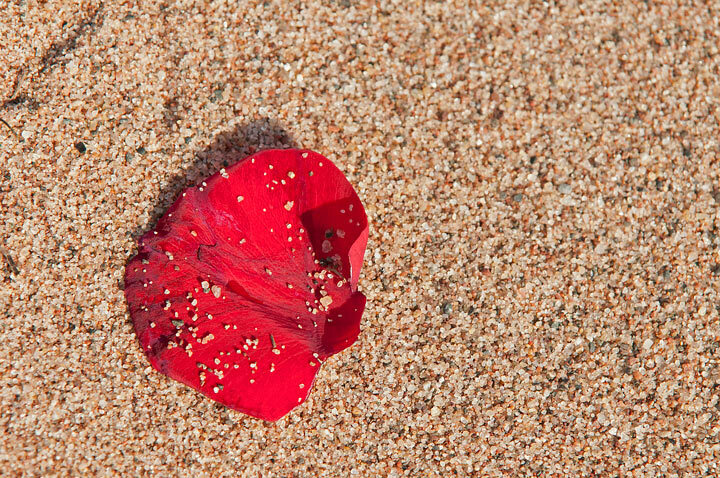 It quickly became clear that they were rose petals. 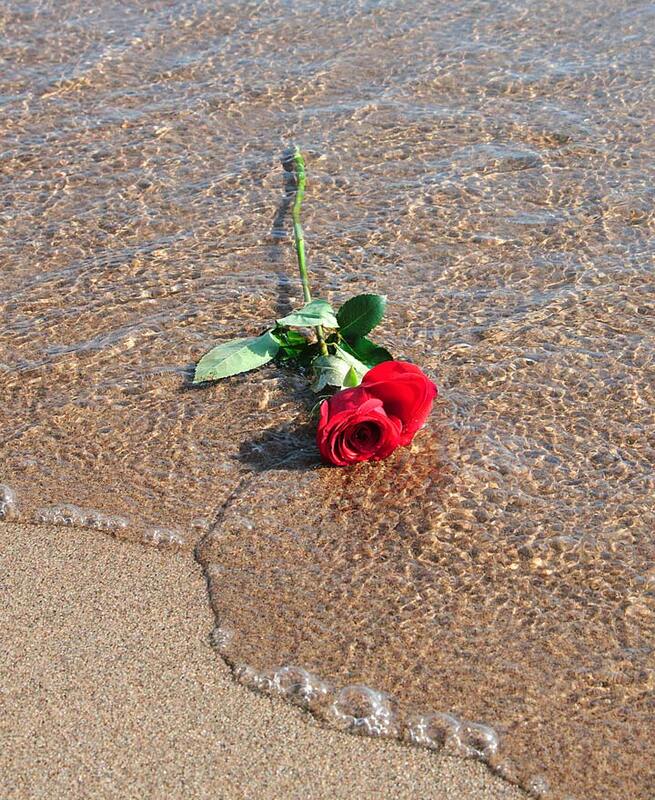 Further down the beach we encountered some long stemmed roses in the water. 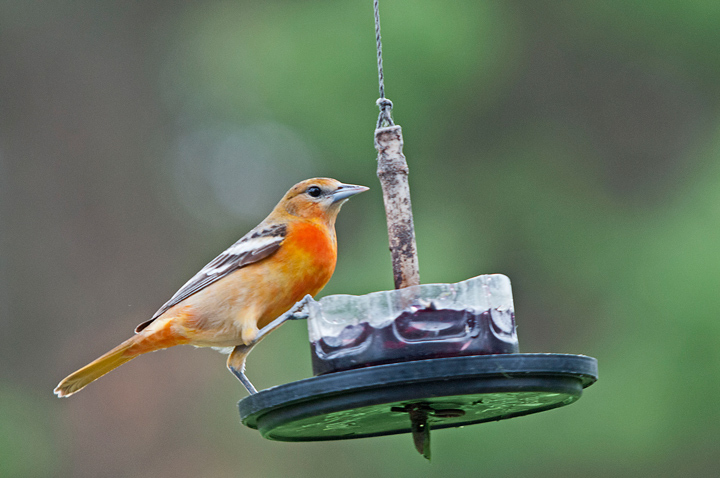 Every spring I have Baltimore Orioles turn up at my bird feeders. 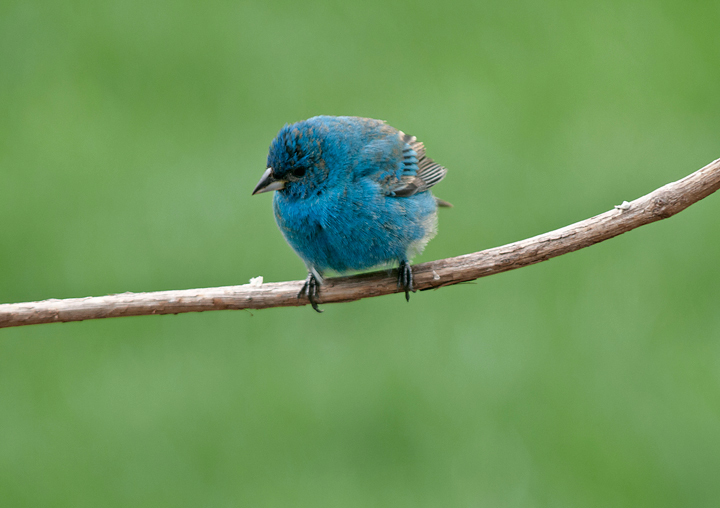 In a normal year they are around for about a week before they disappear. 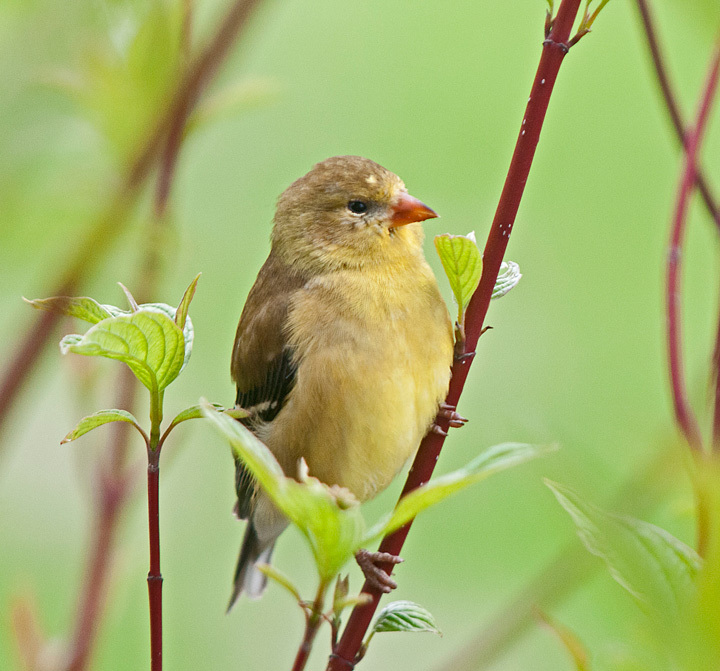 Sometimes they will reappear again later in the summer after they raise their young. In a typical year I might have two or three at a time show up. 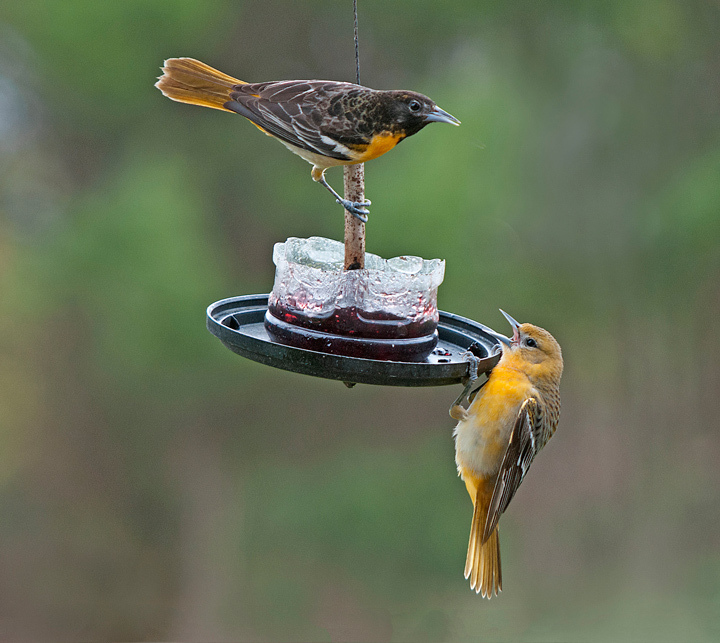 Back in the spring of 2011 I had an amazing week where large numbers of Baltimore Orioles turned up at my feeder. They only stayed around for a week but they were going though over a quart of grape jelly every day. This year was a repeat of 2011. 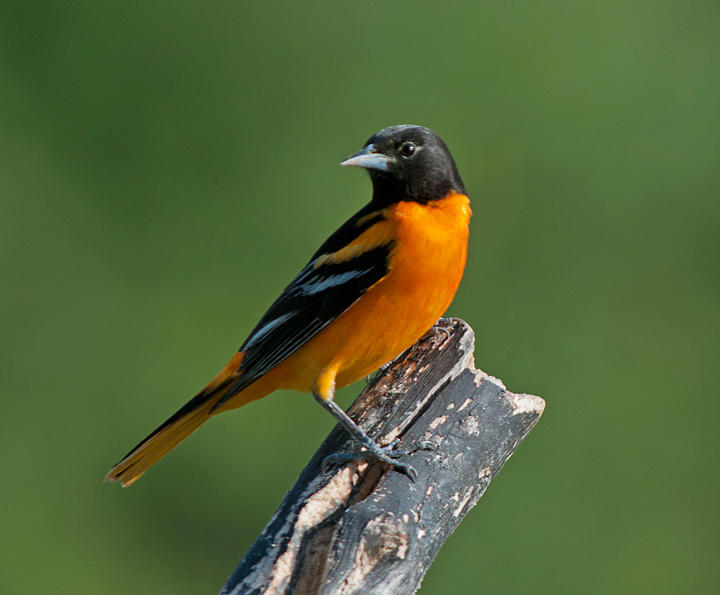 I counted over a dozen orioles at my feeder at a time during a two week period. Once again I was going through over a quart of grape jelly every day. Fortunately we didn’t have any travel plans so I was around to put Jelly out about three times a day. 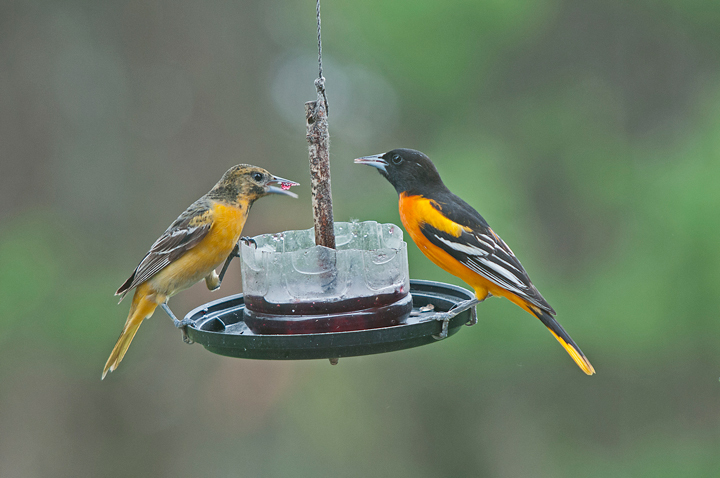 Apparently I wasn’t the only one with large numbers of orioles at my feeders this year because grape jelly was hard to find at the stores. My wife had to go to three different stores to get some. It was fun to watch the females. Apparently they are the nest builders. They would turn up with some string in their beak and sit looking at the feeder. Should I eat or take the string back to the nest. In one case the female sat looking at the feeder for over five minutes before deciding to drop the string and eat at the feeder. In a few cases they would fly down to the ground and retrieve the string before leaving but in most cases they left without it. 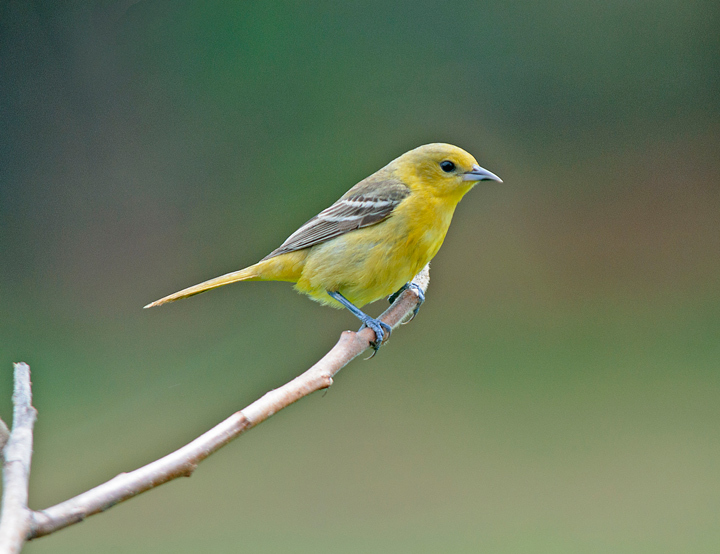 This year was different in that I also had a few Orchard Orioles turn up at my feeders. 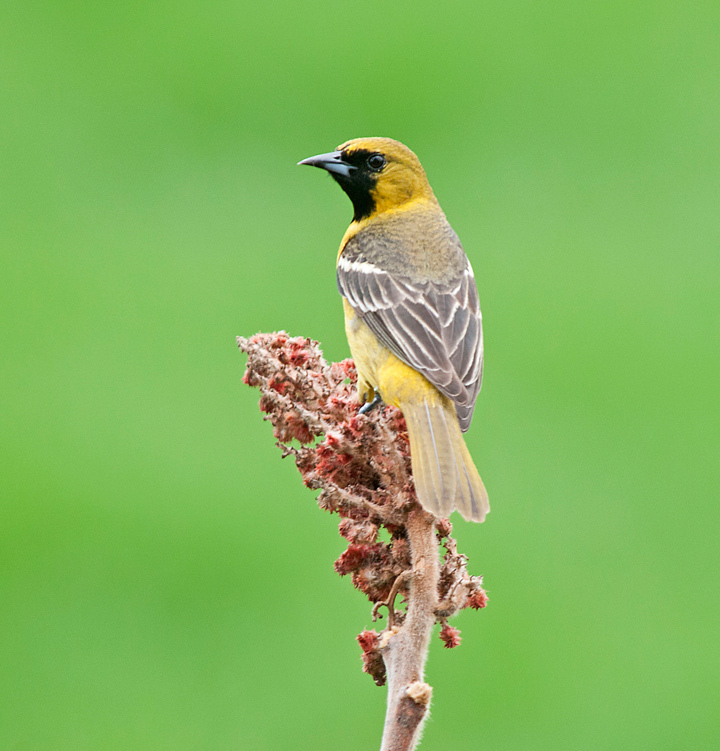 It appears that there was at least three different Orchard Orioles around. This year was also different in that the orioles didn’t leave after a couple of weeks. We had a trip planned and I only had a few small feeders that I was filling multiple times during the day. It was clear that these feeders would not work. I finally made a large feeder out of the bottom of a coffee container. It could easily hold over two quarts of grape jelly. I filled it up before I left hopping it would keep them happy until I returned. 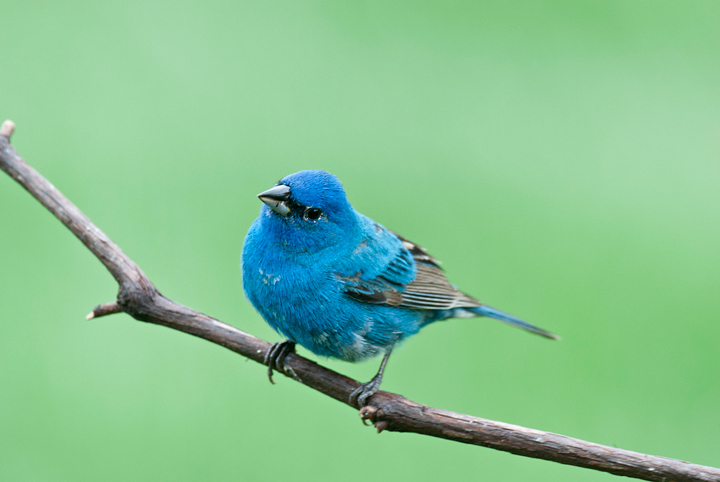 When I returned I was happy to see that my new feeder worked. 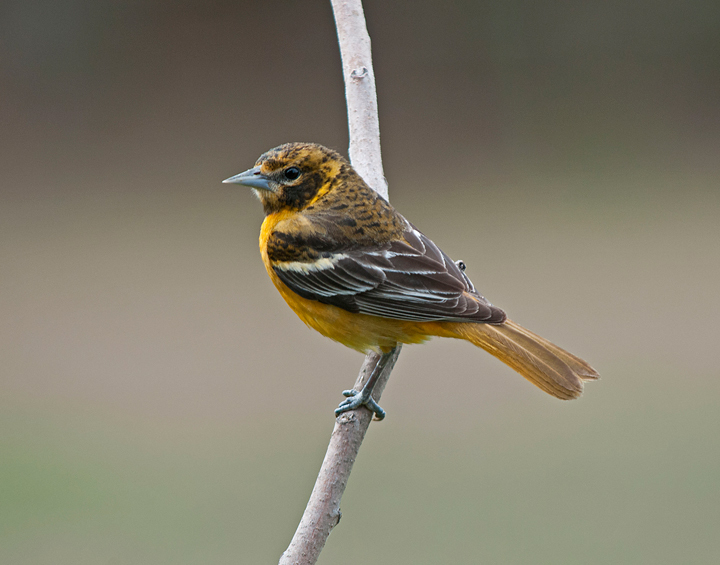 I assumed that all of the orioles would be gone but I was pleasantly surprised to find that they were still around and have continued to feed at my feeders. 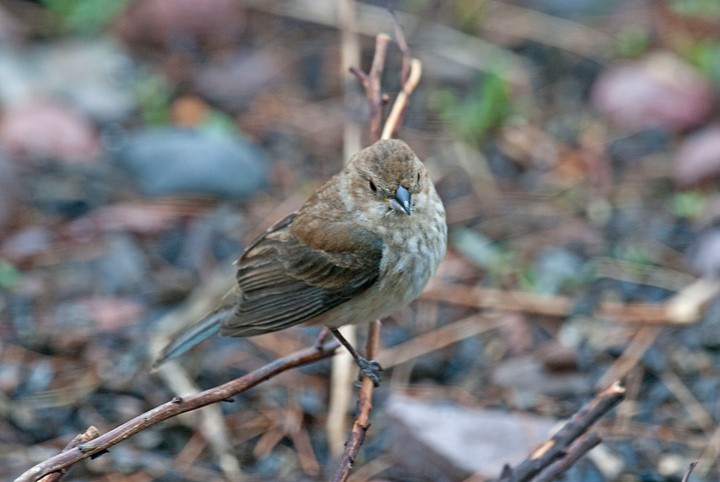 This was the first year I had seen them with nesting materials so a fair number of them must be nesting in the area.